Making handmade soaps to give to family and friends is an inexpensive, easy and fun way to put a smile on someone's face. There are several ways of making soap ie. hot process and cold process, both these methods are made by using a caustic substance called lye. With traditional soapmaking using these processes, you have to wait for the soap to cure before you can actually use it. I prefer to keep things simpler and have instant results. My preferred method of making soap is the melt and pour method. By using the melt and pour method of soapmaking, there are no complicated steps to follow. All that you have to do is melt down some shop bought glycerin and pour it into moulds or containers, allow them to set for an hour, pop them out and they are ready to use instantly. It's so much fun and kids love to make their own soap too, and because it is easy, they can join in and make their own designs. Who knows, maybe it will even encourage them to wash more often! 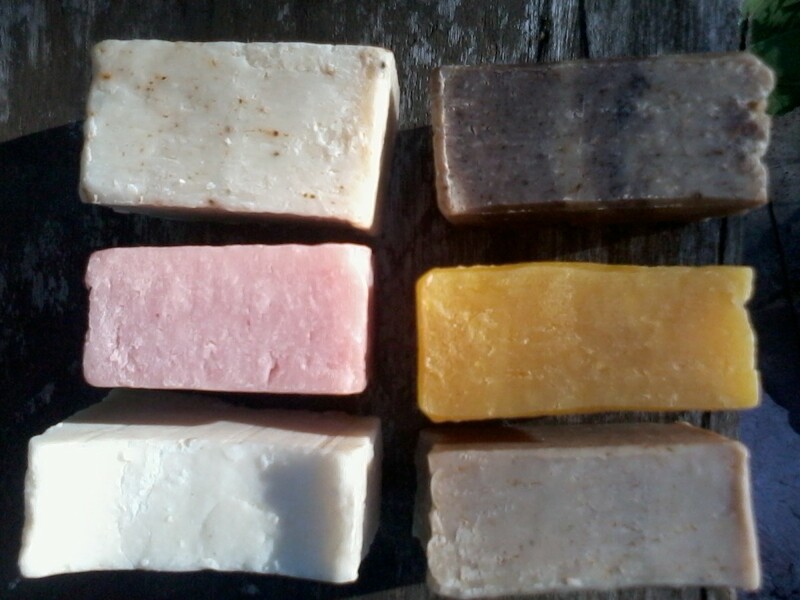 I have been making my own soap now for six years, and I love all the shapes and colours that can be achieved by blending in dyes. There are a vast range of fragrance oils and essential oils on the market which will enhance your soap. You don't have to spend a fortune to start off, just a few colours and fragraces to begin with are all you will need. You can be as creative as you want, whilst jazzing up your bathroom at the same time. Soap Base - These can be bought from most craft stores, hobby shops or even online. They are available to buy in white (opaque) and clear bases. You will find them on sale at varying weights and they are usually cheaper to buy in larger quantities. Moulds - When starting out, it is best to use silicon or plastic moulds and containers as they pop out much easier once the soap has set. In the past I have used old butter tubs and even ice cube trays. As long as the container is microwaveable, it will be perfect for your project. There are some wonderful decorative soap moulds available to buy which produce eye-catching results. Some soap makers prefer to melt the soap base into a silicon tray and allow to set before cutting out shapes using cookie cutters. Colouring - Colours are great for making fun, vibrant soaps. Always use colouring designed for soapmaking, although some people use food colouring to tint the soap. Water based powder colourants can be used in melt and pour soap. I prefer to use a cosmetic grade pigment in my soaps, they are tested and approved for soapmaking and cosmetics. If you want to add a touch of sparkle to your soap, cosmetic grade glitter is available. Never use craft glitter as this can cause skin irritation and is harmful if it comes into contact with your eyes. Scents - Essential oils can be used in soapmaking, they can be quite expensive because they are all-natural ingredients and are very concentrated - only one or two drops are needed for one bar of soap. Fragrance oils are a cheaper alternative to essential oils. If using fragrance oils, always check that they are suitable for using in soap. They come in a wide selection of scents and are relatively inexpensive. This is achieved by filling a saucepan about a third of the way with water, and slowly heating with a pyrex jug inside the pan. Before melting the soap, I would recommend you chop it into small cubes and place inside the jug, as this will speed up the process. Once melted, the soap should be allowed to cool for a few minutes before pouring into the mould or container. This is my preferred way of melting the soap base. Simply chop the required amount of soap base into small cubes, place in a pyrex jug and put in the micowave, heat for 30 seconds, if it is still lumpy, put back in the microwave for short bursts of 10 seconds until completely melted. Once the soap has turned to liquid, stir and allow to cool for a few minutes before pouring into a mould. 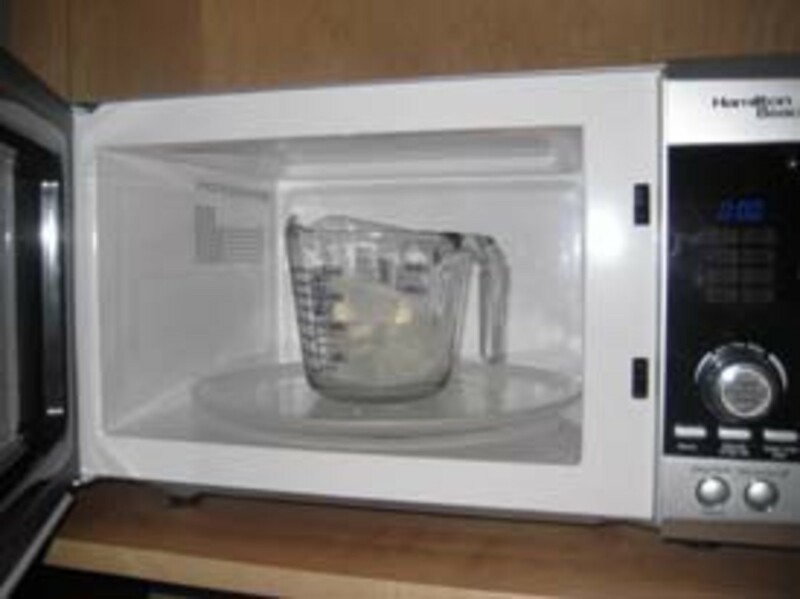 Melting soap in the microwave is so simple. If you are adding any colour or fragrance oils to your soap, this should be done once the soap has been allowed to cool. Simply add a few drops of your chosen colour and a drop or two of your desired fragrance and stir until smooth. Once it has all been blended in, just pour into the mould or container which you will be using and allow around an hour for it to set. I was very excited when I got my soap base delivered and couldn't wait to get started. I have put together a step by step guide to making 3 of my favourite soaps. Why not have a go for yourself, and maybe get the children to join in. 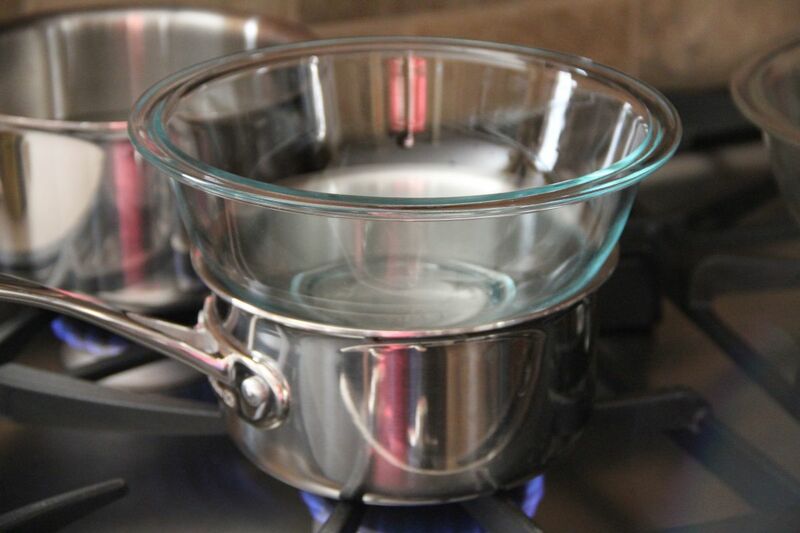 Check if melted, and if necessary replace in microwave and continue to heat in short bursts of 10 seconds until completely melted, but not boiling. Allow to cool for 2-3 minutes. Add two drops of cucumber fragrance oil and one drop of green colourant. Pour into a rectangular container or mould. (I used a rectangular mould which I bought from ebay recently. Leave to cool for an hour. Pop out of the mould and its ready to use. 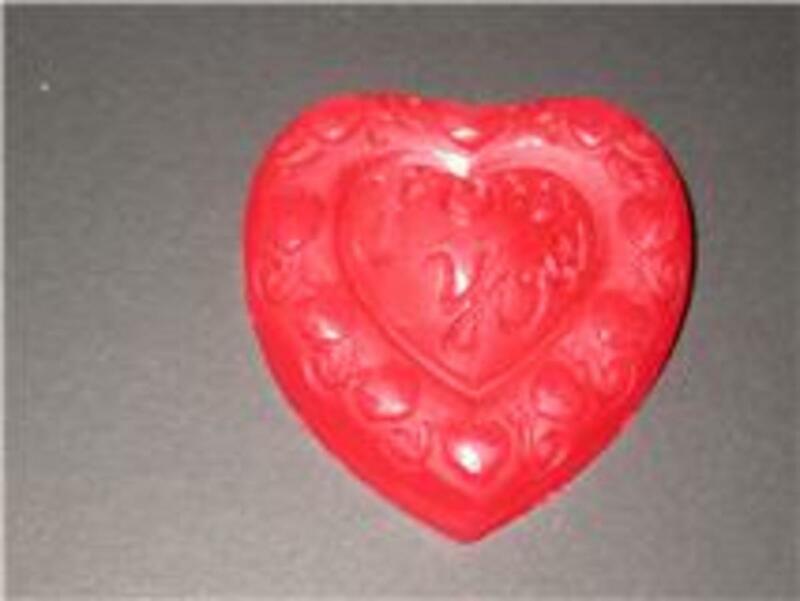 My strawberry scented heart soap. If soap is still lumpy return to microwave for short bursts of 10 seconds until the soap base has completely melted. Add two drops of strawberry fragrance oil and one drop of red colourant. Pour into a heart shaped mould. Leave to set for an hour. Pop out of the mould and voila - ready to use! All kids big and small will love this floating soap. Chop and melt 65g of clear soap base in the microwave for 30 seconds. If not completely melted, return to the microwave for short bursts of 10 seconds until the base has turned to liquid. Allow to cool for about a minute. Add 1-2 drops of blue colourant. Pour into a round mould or container and leave to set for 5 minutes. Spray a small rubber duck with rubbing alcohol (available from chemists and most computer stores). This will help it bond to the soap, and is completely harmless. Place on top of the soap base and apply gentle pressure whilst pushing down lightly. Hold for a few minutes. Pop out of the mould. I didn't use any fragrance oils with this one as I don't like to use these when giving them to children as presents. 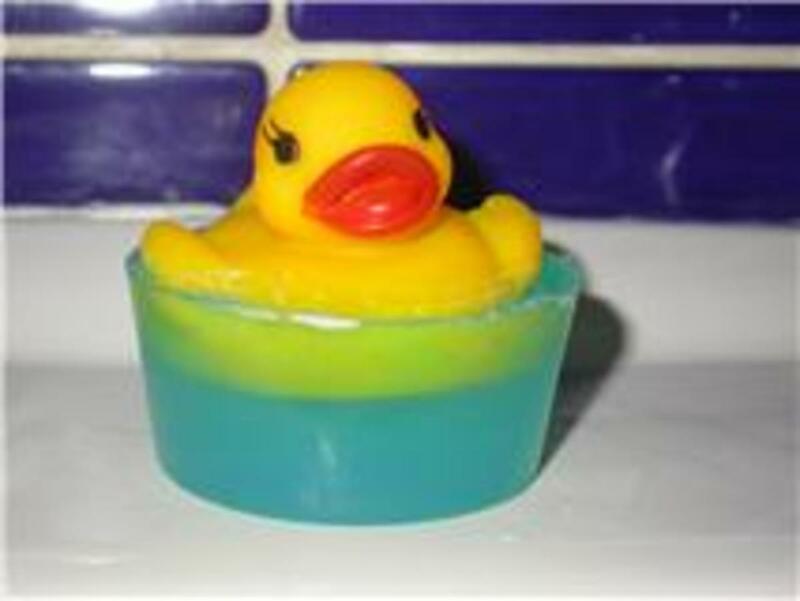 The duck soap actually floats in the water, which kids love. It is fun, funky and will instantly jazz up your bathroom. If you are planning to give one of your soaps as a gift, then you want them to look good. Try wrapping them in cellophane and tying a ribbon or some raffia around the top. Thread a gift tag through the ribbon, for a nice finishing touch. Everyone uses soap, so in some ways it is the perfect gift for anyone. Soap gifts are a great idea for birthdays, party favours, wedding favours, thank you gifts and teachers gifts. Handmade gifts are always special and guaranteed to bring a smile to the recipient. If you are thinking of trying your hand at soapmaking, I would definitely recommend it. I love the fact that you get to be as creative as you want to, and it's good clean fun. There is no mess, and if you melt more than you need, there is no need to worry as the soap can be remelted again, so there will be no waste. A good book which I found extremely useful when I first embarked on soapmaking is "SoapyLove" by Debbie Chialtas. The book is full of step by step instruction for lots of soapy projects. www.brambleberry.com - The website is based in the United States and is recommended by many American Soapmakers. It sells a range of soap bases, fragrance oils, colourants and moulds. www.gracefruit.com - Based in the UK, this shop sells a selection of supplies for soapmaking. Hi MidwestJerseyGirl - Thanks so much for your comments. I love giving soaps as gifts. They can be made to look really pretty with some nice wrapping and ribbon. Thanks for stopping by. 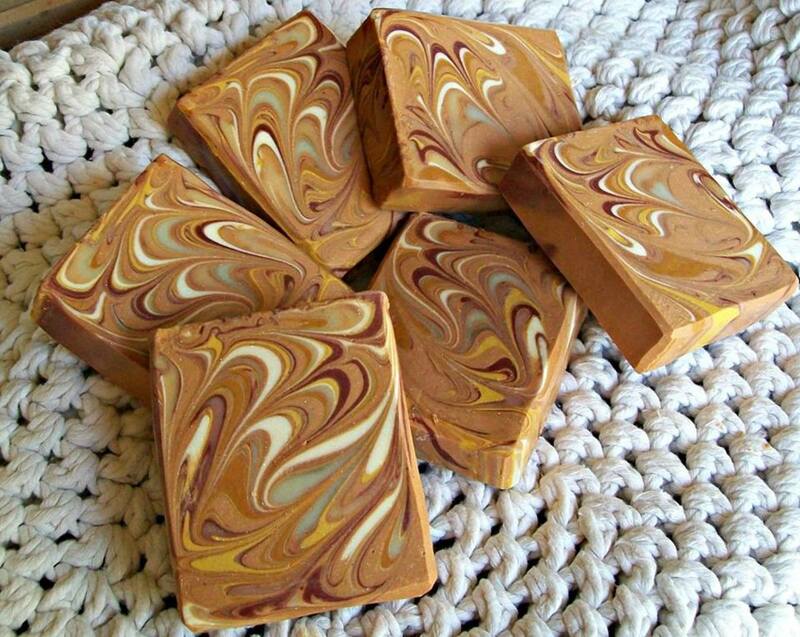 I have been looking for some cool ways to make soap as gifts for the holiday. I love these recipes! Voted Up and awesome and interesting. Thanks for sharing. Hi danfreshnourban - Glad this info was useful. It's so satisfying to know that you actually created the soap and know all the ingredients that have gone into it. Thank you for taking the time to read. Thank you for sharing this information. 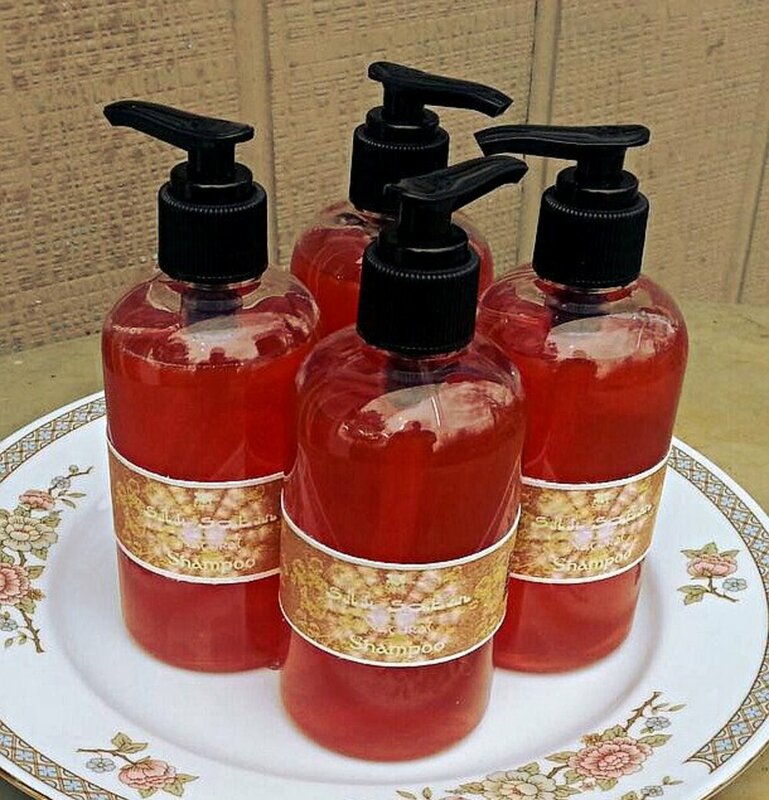 I have always liked the idea of making my own soaps and I have found a number of hand made soaps that I liked. Now I know how I can make my own soaps. Thank you for your suggestions! Happy soaping indeed! @ swayam - SoapyLove is a great book and perfect whether you are a beginner or just looking for new projects. Hi laral. Well done. M+P soap is really soft. I love using the transparent glycerin soap, I probably use this one the most. A close second for me is the white melt and pour soap base. You can buy it plain or with added goats milk. I usually buy a few kilos of each when I put in my order. The tea tree oil soap sounds amazing. Happy soaping! Soapmaking is "SoapyLove" by Debbie Chialtas. The book is full of step by step instruction for lots of soapy projects. @ Freegoldman - thank you so much for your comment. @ carriethomson - I've made the loofah soap a couple of times. It's great for removing dead skin and leaves skin really silky smooth. I make a whole load at a time and wrap them individually to keep them fresh until I use them. Happy soaping. @ rex michaels - Thanks for your great comments rex, you really don't need any skills for this at all. As long as you can pour into a mould, that's basically all there is to it. Once you've made that first soap, you'll be hooked. Have fun. Awesome. Well written and informative. Thank you. @ The Dirt Farmer - Thank you. The make great gifts for any occasion and can save a lot of money. @ bbqsmokersite - Many thanks for your comment. I've never seen the film, but am intrigued. @ carolsuz - I appreciate your comment. I'm planning to do a follow up hub with pics of other soapy recipes I have made. @ ThePelton - Most shop bought soaps can't be melted, but you could mush them all together to make a soap or melt some soap base and grate the slivers into it for a great effect. @ Herazeus - Thank you for taking the time to read my hub. You should give it a go, it really is so simple and inexpensive. @ BukowskiBabe - That is a great idea. There are so many wonderful moulds on sale, something for literally every occasion and event. I used some lovely angel shaped moulds last christmas and they looked amazing. 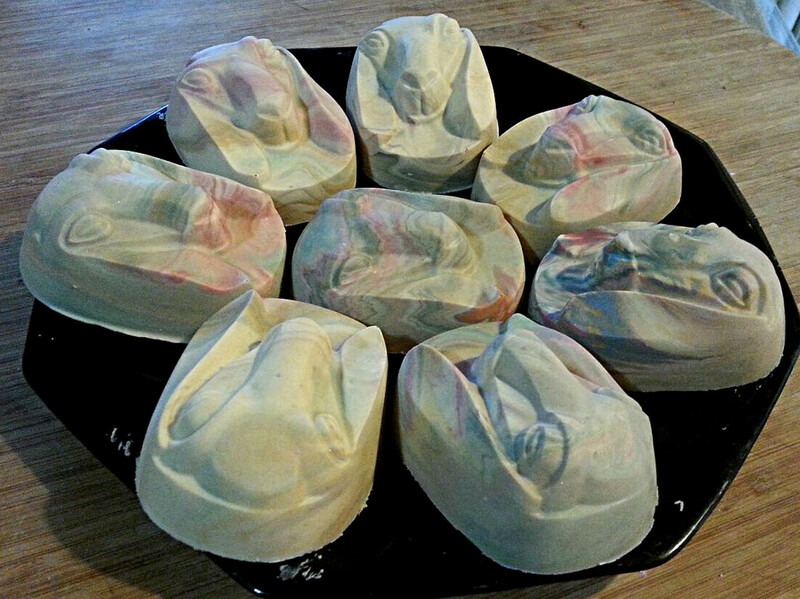 They look as though hours had been spent making them when really I just melted the soap, added colour and scents and poured them into the mould to set. I put each one into a little organza bag and the recipients all loved them. @ heartandkisses - Thank you so much for your kind words. 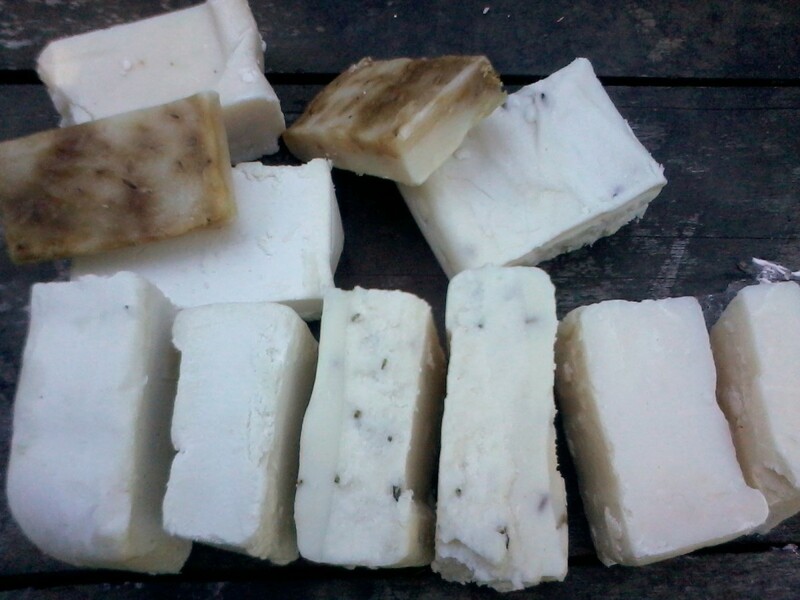 Soaps are used by everyone, so at least the market is already there. I started off buying all of my moulds from e-bay and didn't pay that much from them. I don't know what the shipping charges are to the Philippines from USA, but worth checking out. Maybe phoning some craft stores in the Philippines would be able to put you in touch with suppliers. I wish you good luck in the future and hope that your venture will bring you much success. Best wishes. @ Humera Sharif - Thank you for reading. @ Ana nie - You are right, it is very easy to make, and a whole lot of fun. @ DzyMsLizzy - Thank you for the feedback and the vote up. Your soap sounds interesting. My nephew loves soldiers and I once embedded a little rubber soldier in the soap which he loved. He bathed religiously for a couple of weeks until the soldier emerged and then slipped back into his old ways! I've embedded little dinosaurs and dolls and kids love them. I recently saw rubber eye balls in a toy shop recently. I may embed this for him next. This is one of my most favorite Hubs here at HubPages. I really find it very helpful. I'll definitely try this. Actually, I'm planning to sell handmade soaps here in our province. Just need help with the materials. Don't know where to buy cheap ingredients and materials that I need to use here in the Philippines. 7 years ago from Somewhere in the middle of it all. Very interesting! I'll have to try this. Thank you! What I was thinking is: I keep ending up with these little slivers of soap about two inches long and a quarter of an inch thick in the middle that are too small for a decent shower, since they would fall down the drain. I want to make a big bar of soap that would have those old slivers stirred in. It might not look pretty, but maybe I could use up the last of the soap rather than end up with a bunch of little slivers. 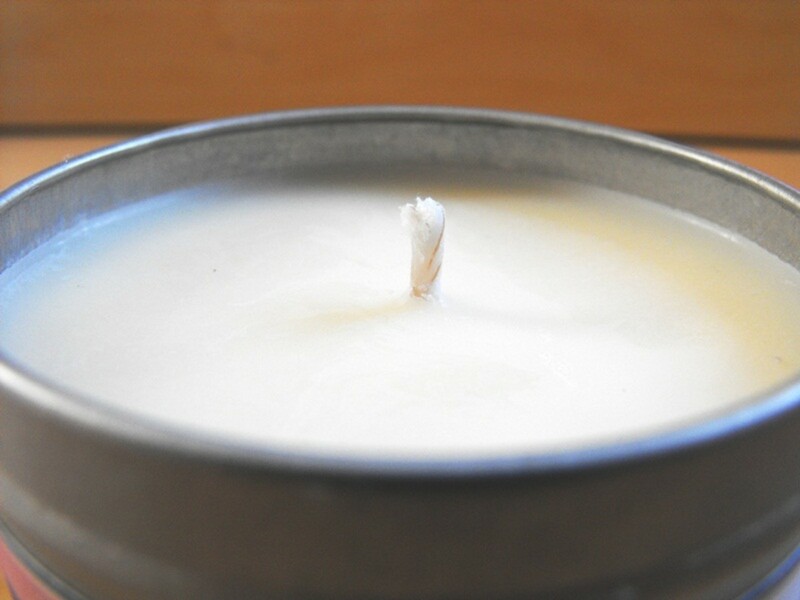 I have gotten into candle making and was looking for a soap project. Awesome! I love the images and the detailed instructions. Thanks and keep them coming. What great gift ideas! Thanks so much. Congratulations on being picked as Hub of the Day! This is a very well-done and informative hub. I have tried soapmaking a couple of times in the past; it was fun. Next, I poured only half the mold, let it set up for a few minutes, and then placed a small plastic pig figurine before pouring in the rest of the soap. Voted up, useful and interesting! Good job! @ JSMatthew - Many thanks for taking the time to read and leave your feedback which I am very grateful for. Thanks so much for your feedback Sexyladydee. There is some money to be made out there selling soaps. They are not too expensive and something that everyone buys. Good luck to your duaghter and her venture. Congratulations on being the Hub of the Day! What an interesting Hub! I always wondered how soap was made and now I know! Thanks for sharing! @ FloraBreenRobison - You make a very good point. Allergies are very common, make sure no scents are added to soaps being given to allergy sufferers. As a rule, I wouldn't give scented soaps to any children. (except my own as I know they are ok! )Thank you. Christmas is such an expensive time of the year, and I always think handmade items are so much more personal and meaningful. @ lavender3957 - Many thanks for the vote up. Your grand daughter will have a lot of fun helping you to make and wrap them up. @ davenmidtown - Thank you for your wonderful comments and for taking the time out to read. I really appreciate your feedback. Very nice hub. Congratulations on the hub of the day award. I think it is important to share the knowledge of making things. The hub is beautifully presented and the details are inspiring. Great job! This is an excellent idea for christmas gifts, and easy enough for my grand daughter and I to do. Voted up all the way. Congratulations on your hub of the day. One comment about making these as gifts-some people have allergies, so make sure you know which people can have have scented soaps and which people can't. I must say that I have been getting all these great ideas for homemade gifts on hubpages for Christmas this year, which is great since I won't be able to spend as much as I have in past years. Thank you so much for your comment fucsia, I appreciate you taking the time to read my hub. Great idea! Thanks for sharing. Congrats for the" Hub of the day". My daughter is 10 years old and loves to make the ducky soap. It's a lot of fun for kids and adults. She even takes a bath without me nagging at her! Result! I love melt and pour soap and have made some really cool soaps. I love the Floating Duckie soap. It's so cute. I may have to do that for my kids. They each have a duckie, so they'd probably think it was a really cute idea, especially if they got to help. @ RTalloni - Many thanks for your comment. It is very much appreciated. @ laral - Thank you so much. Soap making is so much fun and there is never any waste as it can always be remelted if you make too much for a particular project. @ carriethomson - Thanks for commenting. Rose petals can certainly be used for decoration and they are very effective. I sometimes use dried rose buds too which are lovely. Adding oatmeal to the soap when it has been allowed to cool for a few minutes gives it a great texture. Poppy seeds added in the same way are great for making an exfoliating soap. A good and quick way of making a textured soap is to place a loofah sponge into a silicon loaf tin and then pour over the melted soap until it is submerged totally. (If it starts to rise a little, push it back down with the end of a spoon.) Once it has set, cut it up into individual bars. It usually makes around 8 bars and is great for exfoliating in the bath or shower. @ Stephanie Henkel - Thank you for your comment, it means a lot to me. I, too, have tried traditional soap making but don't like using lye. (Just my opinion) This is so much easier. There are lots of lovely shell moulds on the market to choose from. They certainly would look beautiful in the bathroom and would make a lovely gift. @ sassyk73 - It really is so easy. Honestly, if I can do it, anyone can. I'm sure you will have a lot of fun trying out different designs and scents. Thank you for taking the time to comment. Making soap looks like fun. I am going to try it. Thank you for sharing and showing a craft challenged person (me) that making soap is easy ;) God bless you. 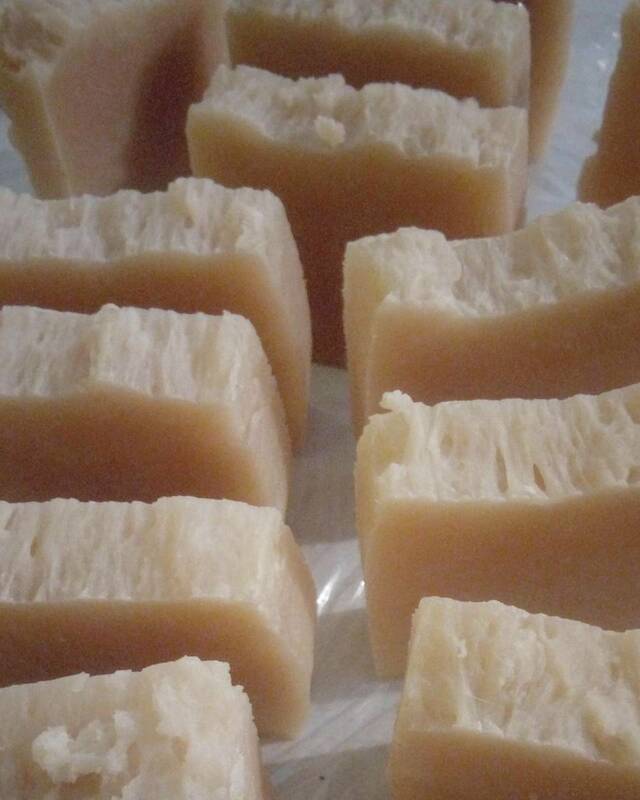 Years ago I tried making soap the old fashioned way using lye, but this method seems so much easier and you've made it look like a lot of fun! Now I really want to try making some pretty sea shell soaps for my guest bathroom and maybe even for gifts! Thanks for a well-written, nicely illustrated and useful article. This hub certainly deserved to be featured as a Hub of the Day! making soaps the traditional way with lye seems terible and i always dread it!! but this sounds quite easy and fun.. can i add some rose petals or any flower petals for decoration? is there a way to get a textured scrub like soap? Great hub of the day! Congrats! @ travel-man1971 - Thank you for your comment. I really love the way you can be as creative as you want and experiment with mixing the scents together. @ patlesaux - Thank you. Melt and Pour soaping is so easy, fun and rewarding. @ quester.ltd - Your comments are much appreciated. Homemade soaps do seem to be popular again. It's so addictive too. I love the fact that my daughter makes them, she seems to bathe more regularly with her new creations, so that's got to be a plus! Great ideas! Well written and informative. Thanks for sharing your hobby (whatever this is) sounds like there is a demand for homemade soaps. I think making your own soap is great, hard to make anything now a days, making soap must be tough enough. This is great! You really made soap making as interesting as you did in your home. Creativity works! Thanks chrisand. Im sure you will find it fun, especially as you get to be as creative as you want. @SimoneSmith : Thanks for commenting. 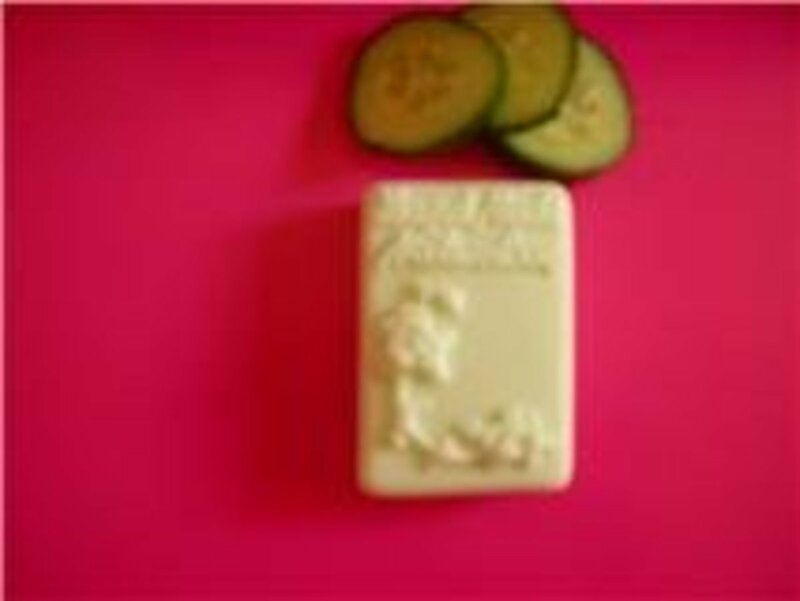 The cucumber soap is so refreshing, and the scent is amazing. My daughter even uses it without having to be bullied into washing! @randomcreative : Thank you so much for your comments. Melt and Pour soaping is so easy to do and so much fun. I love the idea that there is no curing time required - once they have set you can bathe with them straight away. @Manchester Kitchens - The kids will love making the soaps. My kids love making them and experimenting with the colours and shapes. Have fun. @Horse Feathers : Thanks for the comment, and the tweet. How lovely to have kept your sons gift to you all these years. Awesome info. Fun too! Gave you a tweet. When my son was four, 27 now, he made me a gift in preschool. They didn't make the soap but he clipped a pic from a magazine and stuck it on the bar. I still have it. Looks great will be trying with the kids today! I've never tried making soap before, but it sounds like a lot of fun. Great ideas here! All of the detail that you've included with each step of the process is excellent. I haven't made soap in over ten years- I MUST try again! The cucumber soap sounds especially lovely. Love the original photos, too! Thanks Deborah-Diane. There certainly is something for everyone and so much fun to make. There are some wonderful moulds on the market now. What a fun gift idea! These soaps are sure to please everyone! @ ComfortB - Thanks for the comment. Melt and pour soap making is so easy. @ frugalfamily - Thank you for commenting. My kids and I love making soap, its so much fun and they love stirring in the scents and mixing the colours. What a great summer time thing to do with the kids!..Thanks! Very informative. Didn't know making soap was this easy. Will try it someday. Thanks for sharing.